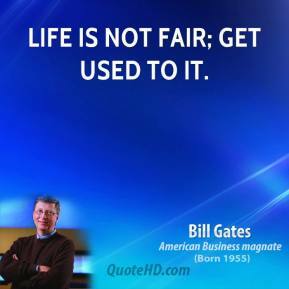 Life is not fair; get used to it. Television is not real life. 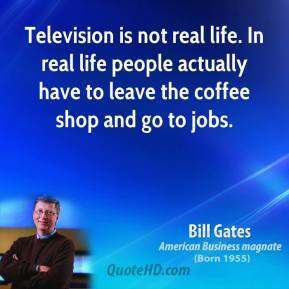 In real life people actually have to leave the coffee shop and go to jobs. 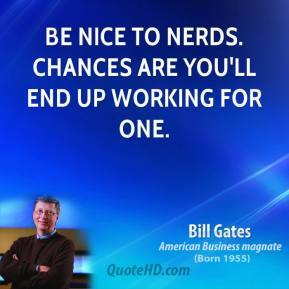 Be nice to nerds. 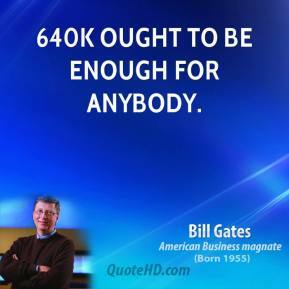 Chances are you'll end up working for one. 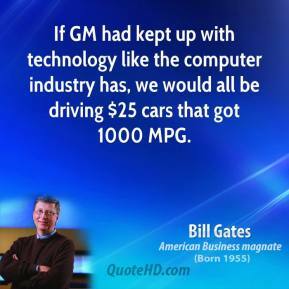 If GM had kept up with technology like the computer industry has, we would all be driving $25 cars that got 1000 MPG. 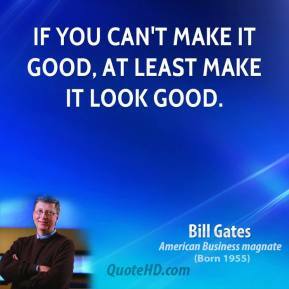 If you can't make it good, at least make it look good. 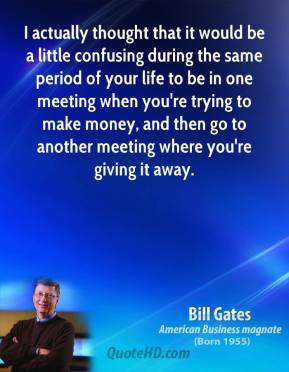 I actually thought that it would be a little confusing during the same period of your life to be in one meeting when you're trying to make money, and then go to another meeting where you're giving it away. 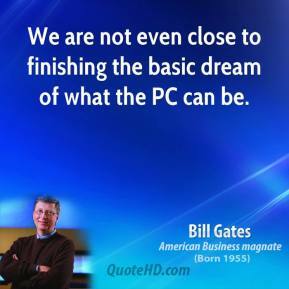 We are not even close to finishing the basic dream of what the PC can be. 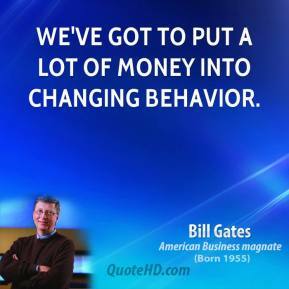 We've got to put a lot of money into changing behavior. 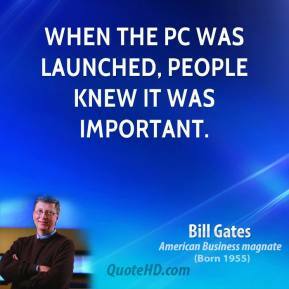 When the PC was launched, people knew it was important. 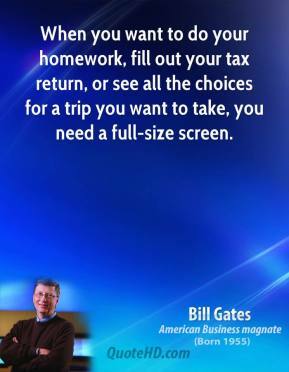 When you want to do your homework, fill out your tax return, or see all the choices for a trip you want to take, you need a full-size screen. 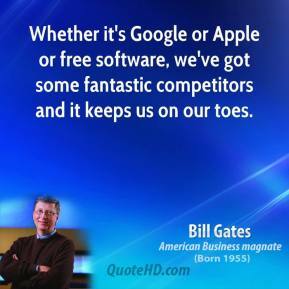 Whether it's Google or Apple or free software, we've got some fantastic competitors and it keeps us on our toes. 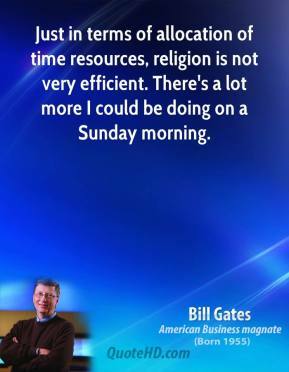 Just in terms of allocation of time resources, religion is not very efficient. There's a lot more I could be doing on a Sunday morning. 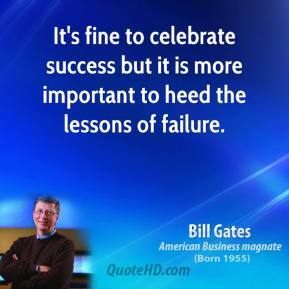 Life is not divided into semesters. 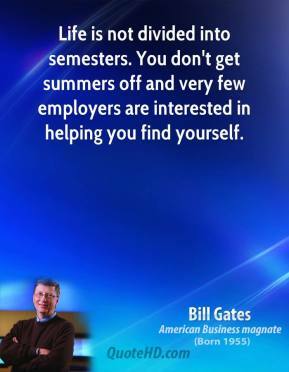 You don't get summers off and very few employers are interested in helping you find yourself. 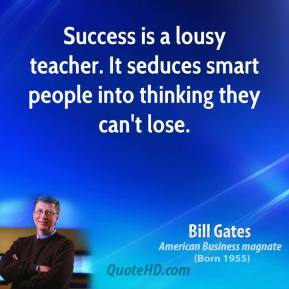 [Smart] is an elusive concept. 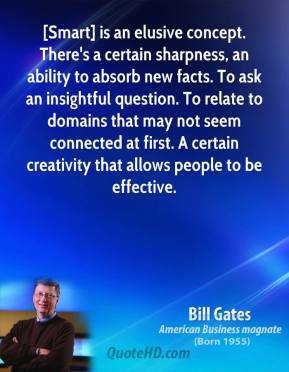 There's a certain sharpness, an ability to absorb new facts. To ask an insightful question. To relate to domains that may not seem connected at first. A certain creativity that allows people to be effective. 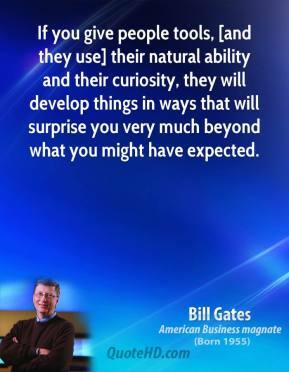 If you give people tools, [and they use] their natural ability and their curiosity, they will develop things in ways that will surprise you very much beyond what you might have expected. 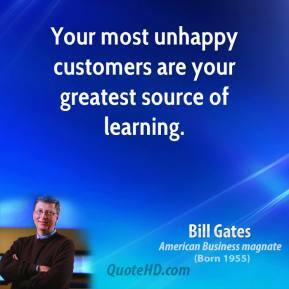 To create a new standard it takes something that's not just a little bit different. 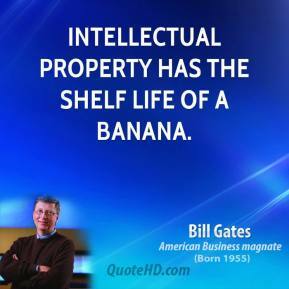 It takes something that's really new and really captures people's imagination. 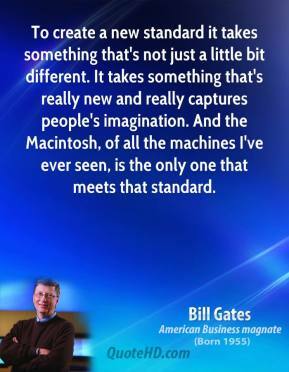 And the Macintosh, of all the machines I've ever seen, is the only one that meets that standard. 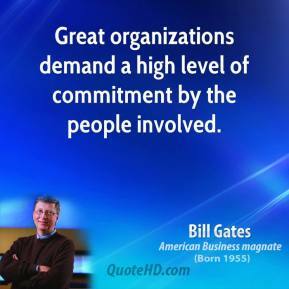 Great organizations demand a high level of commitment by the people involved. 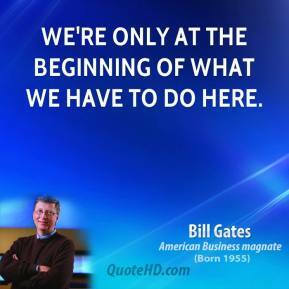 We're only at the beginning of what we have to do here. 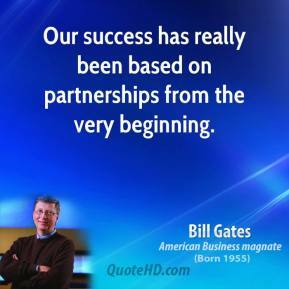 Our success has really been based on partnerships from the very beginning.